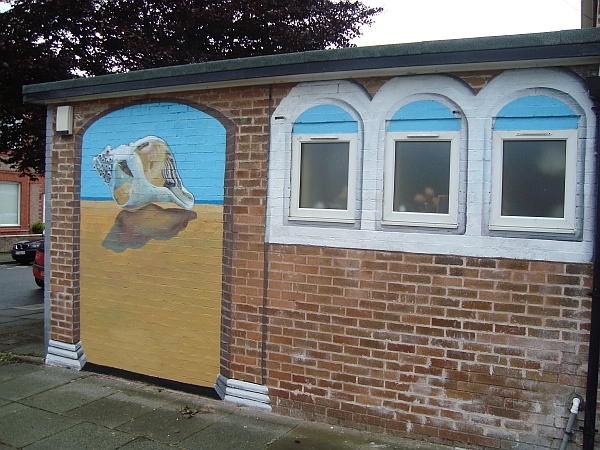 Hoylake-based artist Micheline Robinson has unveiled her latest piece – a street art installation on the side of Melrose Hall. The 3D-effect painting was finished during a rare dry spell earlier this week and it’s hoped that it will create and inspire some interactivity with locals. As an example, this series of photos shows how people interact with some street art in Malaysia. If cakes are more your thing then you should also go and see the cupcake. And for those of you who aren’t sure where Melrose Hall actually is, it’s on the right-hand side of Melrose Avenue, just behind the car park of The Ship Inn.